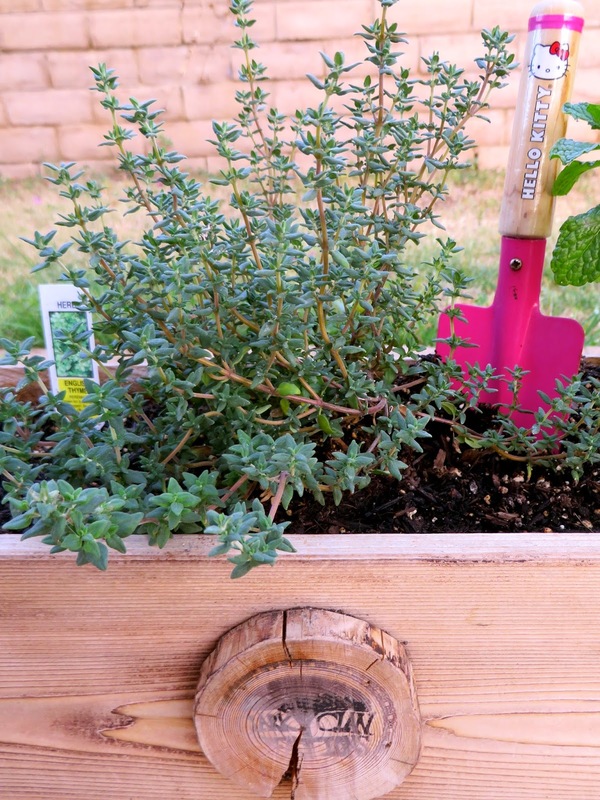 Last month, when I had a little extra time on my hands with spring break, I went a little "gung-ho" on gardening. In fact, I even signed up for the rewards program at my local hardware/nursery store. I don't really have much of a green thumb. As evidence of this, last year I eventually let the garden I featured in my Garden to Bowl post wither away and die. 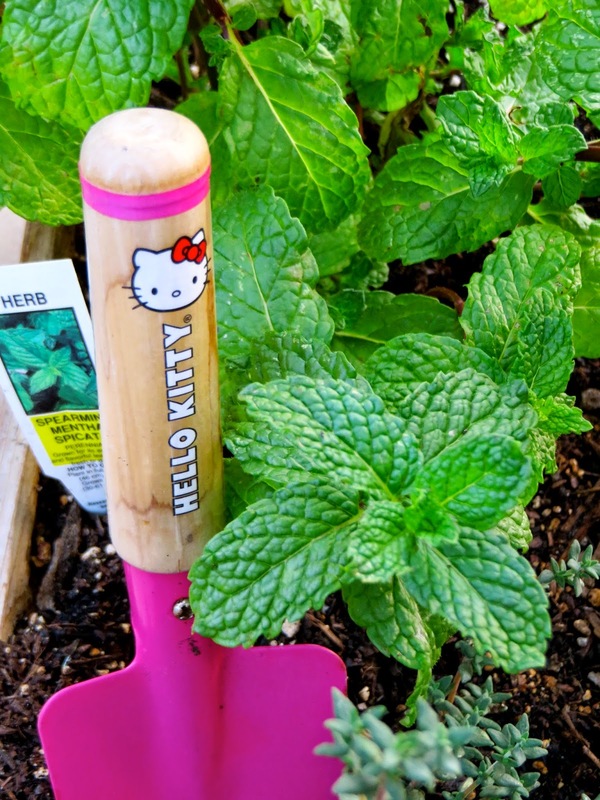 But I am back and, if a dare say so myself, better than ever for round two of Hello Katie's garden! 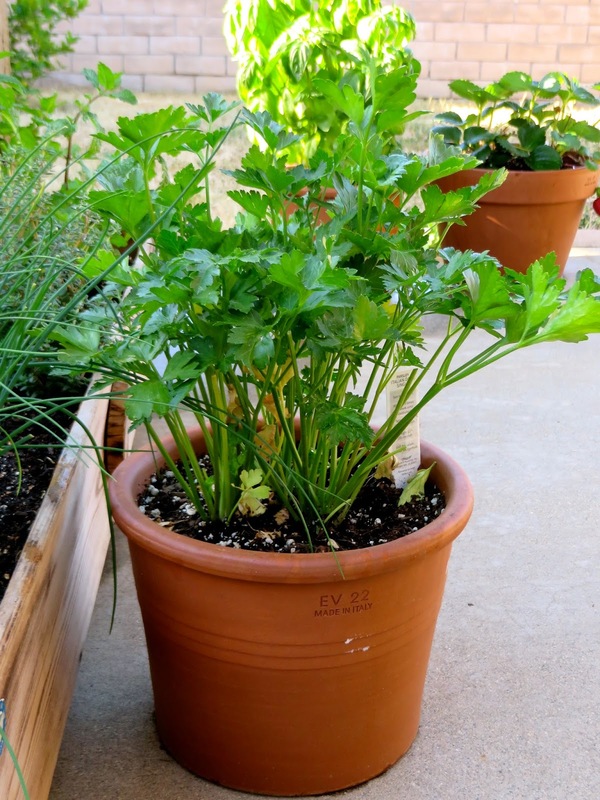 Now this garden isn't by any means a big garden; it's really just an herb box and some potted plants (our soil is horrible here), but it is just the right size for me. 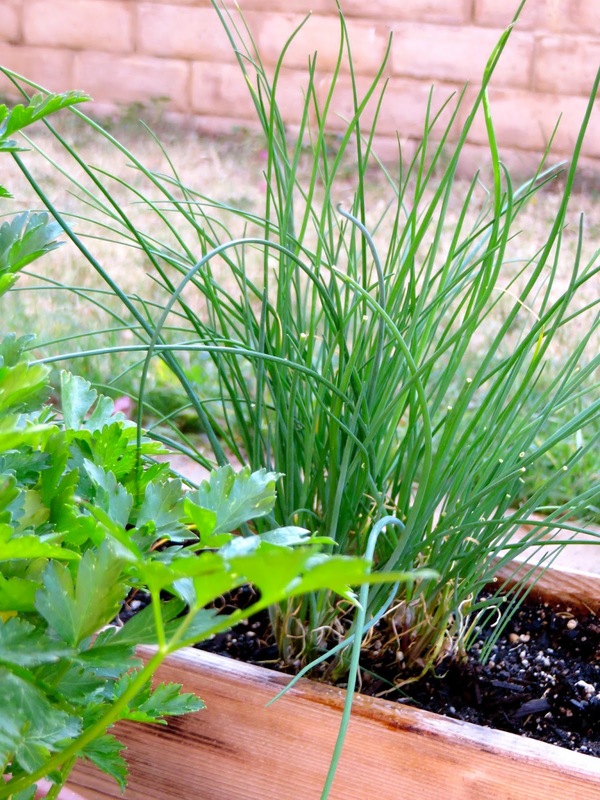 The garden mostly features herbs which saves a lot of money on frequent trips to the grocery store to buy those little packets of herbs for $2.99 every time I make a recipe. 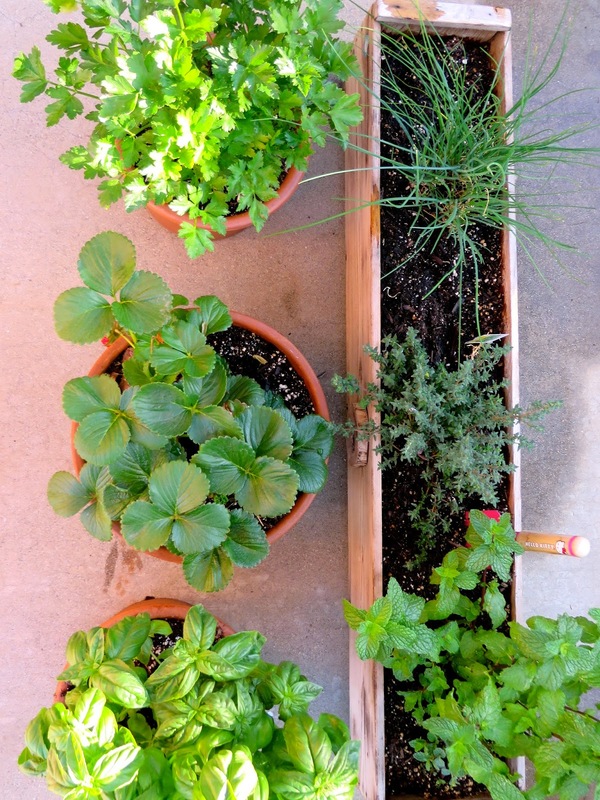 So take a gander at my garden below to see what I am growing this year. 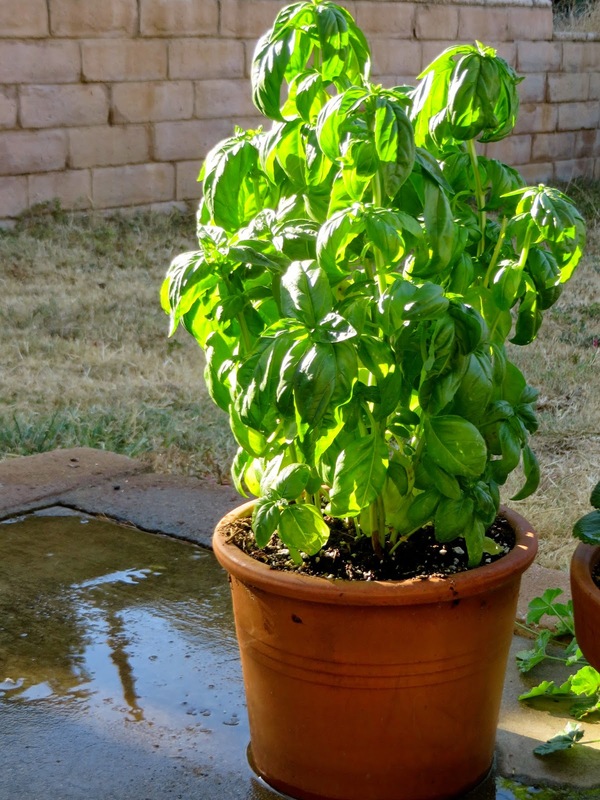 The first thing that I always keep in my garden is basil because I love Italian food and I love fresh Mozzarella to which basil is the perfect sidekick. Next, I am trying for the first time to grow strawberries. 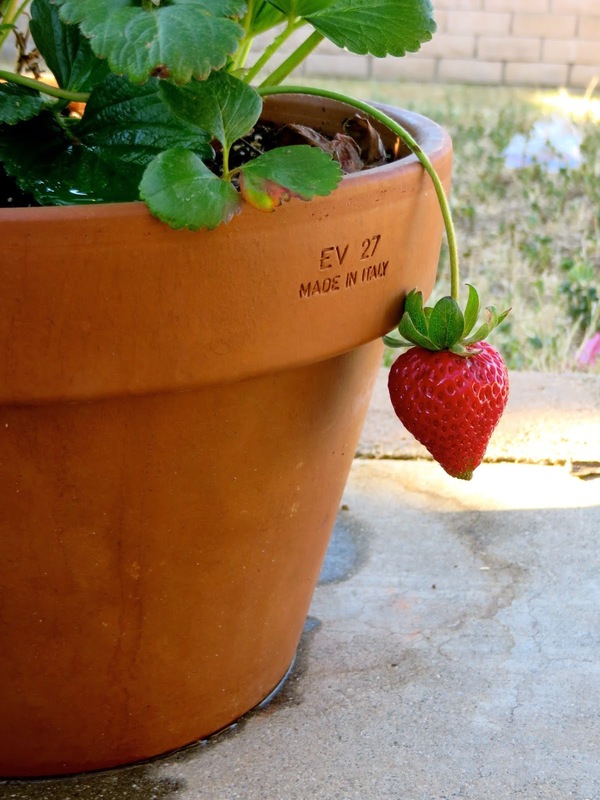 As you can see, I have my first strawberry ready to go, but I am hoping that others follow suit! What am I going to do with only one strawberry? My husband and I will have to divide it between us! 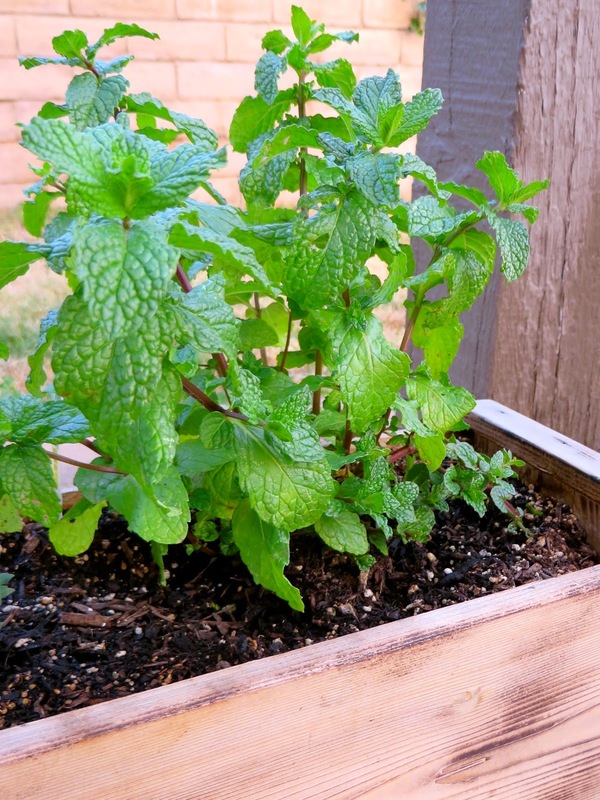 Mint is another thing that I love to grow because it can be used in two of my favorites things: desserts and mint juleps. 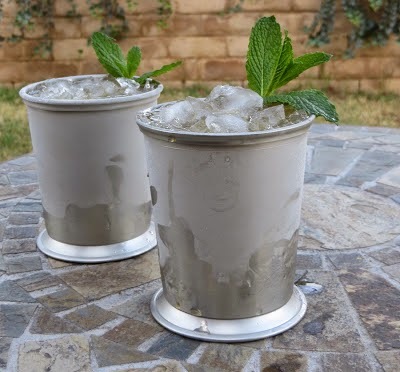 Below is an example of the miracle that is the mint julep, just in time for the Kentucky Derby today! Well, that concludes the "tour" of my garden. So far so good. Everything is nice and green and growing as opposed to dying. I have my fingers crossed that my green thumb can make this garden last through summer and beyond. I hope to feature at least a few recipes for things that I make in the coming months with the spoils of my garden!